September 3rd, MOM LA returns with another Hip-Hop Edition featuring special guest DJ Revolution and live art by Jim Mahfood! Residents Joshua Noteboom, Donovan Gordo Cabeza, and Expo TheDeejay holding it down. 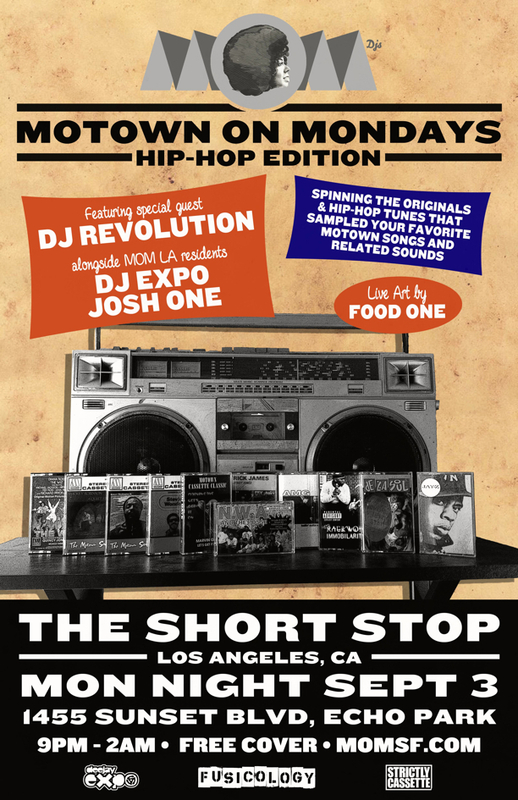 Last Hip-Hop Edition was off the chain... join us September 3rd at TheShortstop EchoPark! Big ups to DJ Expo for letting Strictly Cassette provide the photo for this poster!